TripAdvisor, which calls itself the world’s largest travel site, recently named Blowing Rock’s Mountainaire Inn and Log Cabins #1 in its list of 25 Best Bargain Hotels in the U.S., and ranked it #4 in the world in the same category in its 2018 Travelers’ Choice awards. Only two properties in the U.S. were in the world’s Best Bargain Hotels category. “Deb and I are overwhelmed by this honor from TripAdvisor. Our staff works very hard to provide an enjoyable experience, from reservation to checkout, and we are very proud of them. We have a lot of repeat guests and recommendations from guests; this is the best compliment we can hope to receive,” said Jim McDowell, Mountainaire owner. “We are on Main Street, right downtown, in walking distance of shopping, restaurants, the park, and close to The Blue Ridge Parkway. All of this helps to provide our guests with a great mountain experience. TripAdvisor has proven to be a good forum for reviews and feedback from our guests and visitors,” McDowell said. Tracy Brown, Executive Director of the Blowing Rock TDA, offered his congratulations on the TripAdvisor awards. 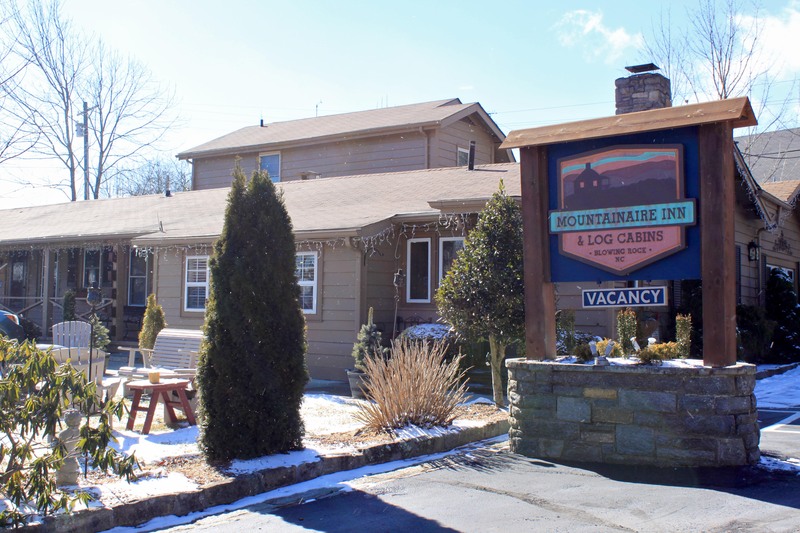 “We’re very proud of the owners and staff of the Mountainaire Inn and Log Cabins. They exemplify what Blowing Rock is all about in terms of leisure travel and hospitality. They provide excellent customer service and deliver great value for visitors coming to Blowing Rock,” Brown said. For more information on the Mountainaire Inn and Log Cabins, go to mountainaireinn.com. TripAdvisor based its Travelers’ Choice awards on 570 million reviews and opinions covering the world’s largest selection of travel listings worldwide, including 7.3 million accommodations, airlines, attractions, and restaurants. For more information about the 2018 Travelers’ Choice awards, go to tripadvisor.com/TravelersChoice-hotels.